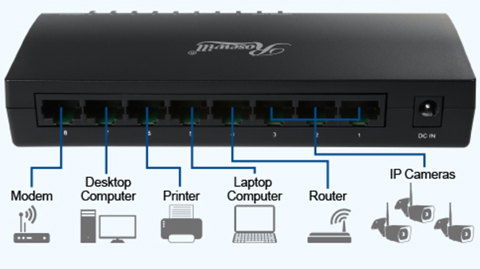 8 Gigabit Auto-Negotiation RJ45 ports:The auto features of this 8-port gigabit switch make installation hassle-free and no configuring is required. Eight Auto-Negotiation Ethernet ports of the internet switch make installation hassle-free and no configuring is required. Auto MDI/ MDIX eliminates the need for crossover cables. Full/half-duplex Auto-negotiation on each port senses the link speed of a network device (either 10, 100, or 1000Mbps) and intelligently adjusts for compatibility and optimal performance. 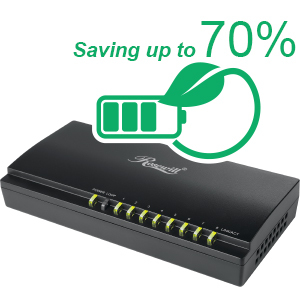 8 port unmanaged gigabit switch supports the IEEE 802.3az Energy-Efficient Ethernet standard, which offers power saving features without compromising performance and reduces power consumption by up to 70%. The 8 port unmanaged switch can automatically power down ports without a link, budget power output based on cable lengths and can also reduce the power consumption in idle or low-traffic modes. 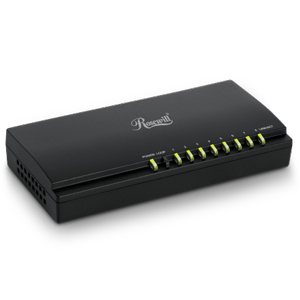 A fanless design allows for quieter operation and provides a longer product life for this RJ45 network switch. 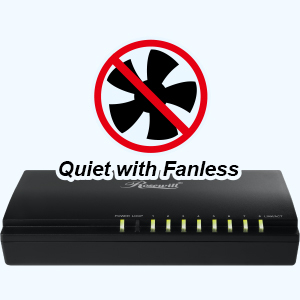 Also the fan-Less quiet & compact design ensures quiet operation for a network switch for home or small business and keeps valuable desk space free in home or small office environments as well. Just plug Ethernet cables into the switch. Data and power can be transmitted through existing standard Cat-3 / Cat-4 / Cat-5 / Cat-5e / Cat-6 Ethernet cables with no additional cables or configuration required. 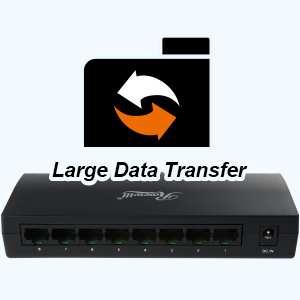 This 5 port Ethernet network switch aims to reduce the difficulty, time and cost of network setup for you. 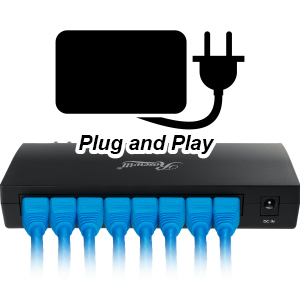 8-Port Gigabit Switch gives you reliable wired performance for sharing large data files, network printers, streaming video content, and multiplayer gaming. Run your network at maximum- performance Gigabit Ethernet speeds -transmitting data up to 1000Mbps*. Backward compatible with your existing 10M / 100M network, the Gigabit Network Switch simply plugs in for instant high performance.